Tuesday, February 25 1908 -- The game of water polo comes to Los Angeles courtesy of a fellow named Les Henry, who believes that the game could well become as popular as football to fans who like rough and tumble sports. Henry is organizing a league made up of teams from the local athletic clubs. Water polo wasn't much more than an infant sport at this time; the rules were still being standardized in the late 19th century. The sport got a big boost when it was featured in the first modern Olympics in 1900. Arthur Yeager Hambleton was born in Baltimore, Maryland, on September 24, 1876, according to his World War I draft card at Ancestry.com. According to a family tree at Ancestry.com, his parents were Richard Emory Hugg-Hambleton (1845–1898) and Ella Frances Yeager (1849–1933). He has not been found in the 1880 U.S. Federal Census. In the 1900 census, he was married to Alice, whose mother, Mary Sisselberger, a widow, was head of the household, which included his sister-in-law, Mary. They lived in Baltimore at 1506 Mount Royal Avenue. He was an artist. The Sun (Baltimore, Maryland) reported on January 2, 1902, "A chalk talk was given in the boys' room during the afternoon by Mr. A.Y. Hambleton, a sketch artist." The Morning Herald (Baltimore, Maryland), November 21, 1903, noted, "An entertainment will be provided by Knight's orchestra and Mr. A.Y. 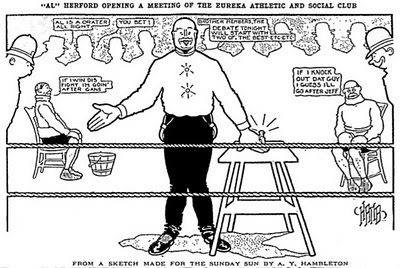 Hambleton, chalk talker." 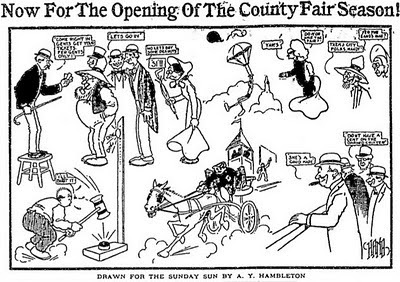 He contributed cartoons to the Sunday Sun in 1906 and signed them "Hamb." In 1910, he was the head of the household which included son Richard, born 1901. The family of three lived in Baltimore on Pimlico Road. He was an artist. On September 26, 1910, The Sun reported, "A.Y. 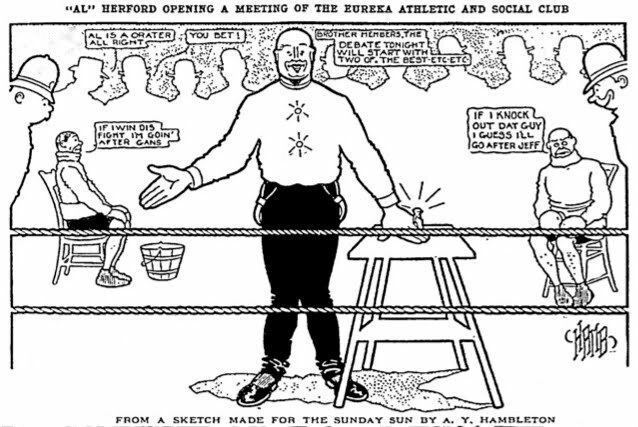 Hambleton, the comic artist and illustrator, recently launched on the vaudeville stage, where he gives 'Chalk Talks'." He signed his World War I draft card on September 12, 1918. He lived at 2710 Reisterstown Road in Baltimore. 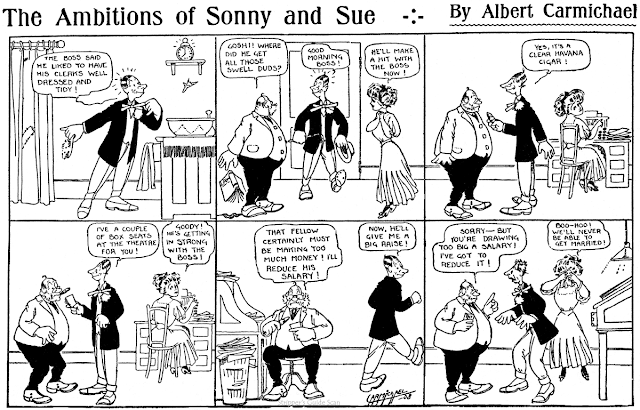 He was a newspaper artist for the International Syndicate. His description was tall, slender, with gray eyes and brown hair. In the next census, he remained in Baltimore at another address, 2710 Fanview Avenue. He had his own business as an artist. In the 1930 census, Baltimore remained his hometown where he lived at 3110 Reisterstown Road. He was a newspaper artist. Hambleton passed away in 1957, in Maryland. An obituary has not been found. The funeral service for his wife was reported in The Sun, May 17, 1970, and it said he had died 13 years earlier. The Sun, November 14, 1949, reported the couple's fiftieth wedding anniversary. In addition to being a commercial artist, Hambleton gave guitar and ukulele lessons for ten years. Thanks to Leonardo De Sá for the additional information! If the excruciatingly awful rhymes perpetrated in the samples above haven't turned your gray matter into a bubbling ooze pooling around your ankles, let me tell you that this is some mighty rare stuff you're looking at. 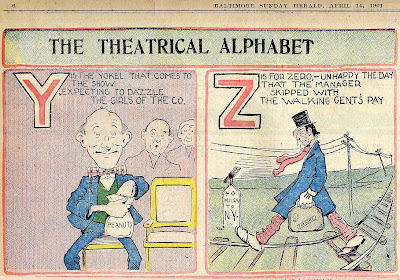 The Theatrical Alphabet is a series Cole Johnson found in the Baltimore Herald, an obscure newspaper of 1900-1906 that might be totally forgotten had not H.L. Mencken alit there for a few years. Here's a local strip from the Baltimore Herald. I've seen "Hamb"'s work before. This is a very primitive section, with a mix of real artists and cro-magnons, such as Morrison, T. Barnes, Fenderson (unsigned), W.M. Goodes, C. Toles, Sissel, J.C. Mayer, Mark Dintenfass, Fithian (dated "99"), all one-shots but for this item, in April and May, 1901. The insides feature "M. Quad's Page", and the saga of "Mr. Bowser" , illustrated by McDougall, longtime staples of the McClure syndicate. In September, this paper picked up the McClure comic section. Did McClure syndicate cartoons before the section was introduced? Whether this section of the first half of 1901 in the Herald was indeed some sort of proto-McClure section I don't know. McClure's 'official' comics section debuted on 4/28/1901 and had continuing series from the start. I do, however, think I can ID "Hamb" -- I think this is A.Y. Hambleton, who later did a little work for the Philadelphia North American. 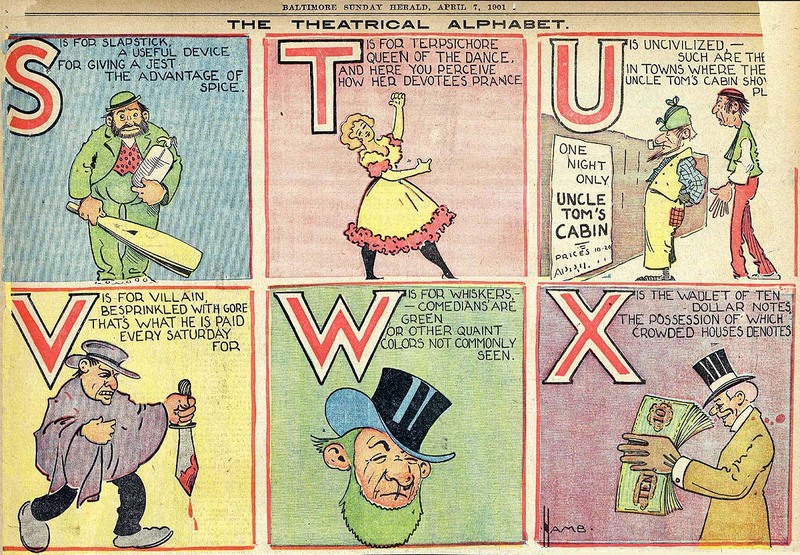 Update: Acting on a tip from alert reader Fram, I have determined that the poem "The Theatrical Alphabet" is indeed considered part of the H.L. Mencken canon by S.T. Joshi, who is an authority on the subject. The poem, properly attributed to the Sunday comic section of the Baltimore Herald, is included in Joshi's book of Mencken verse, Collected Poems. 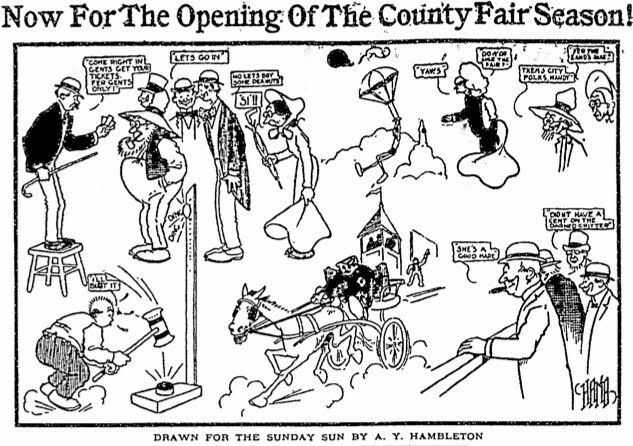 I had wondered if the poem might have been previously published elsewhere and then later re-used by Hambleton, but it appears that the Sunday comics were the original publishing locale of the poem. However, though I am a definite Mencken fan, I still stick by my opinion that the poem is awful. 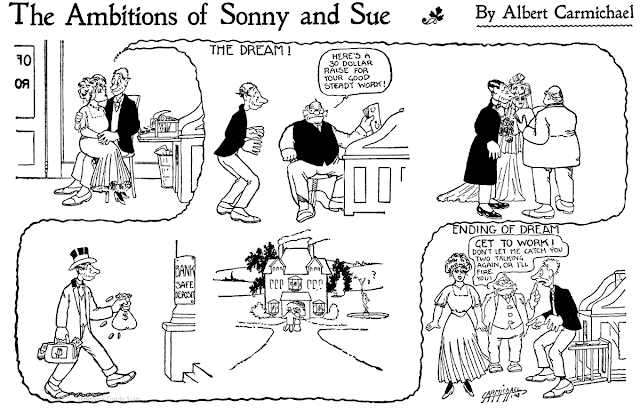 But pretty cool that one of the most erudite writers of the 20th century actually penned a comic strip! Mark Dintenfass? The film mogul? 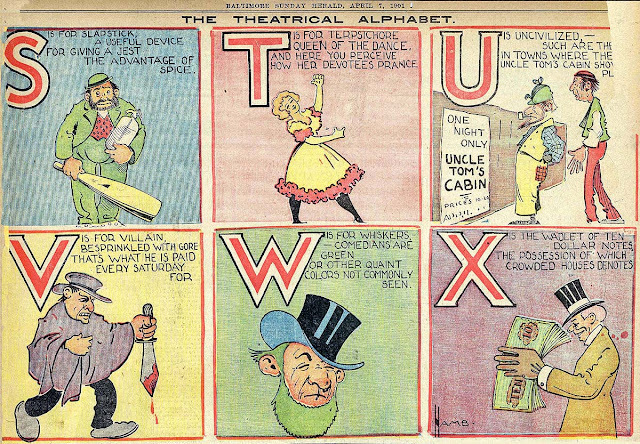 Very exciting that Mencken may have penned a poem for the Sunday comics section (even if it was a stinker)! Unfortunately other than that youtube video I'm not finding any info online. Does anyone know the background of that poem, or do I need to order a copy of Collected Poems of HL Mencken? In The World Encyclopedia of Cartoons, Volume 2 (1983) Maurice Horn profiled Albert Carmichael. Like the other profiles in the book, the sources of information were not mentioned. Using Ancestry.com and Google, I found sources that support some of the details in the profile, and I have found information regarding Carmichael's wife and son. What follows are excerpts from Horn's profile of Carmichael. My comments appear parenthetically. CARMICHAEL, ALBERT PETER (1890-1917) American cartoonist born in Albany, New York, on December 13, 1890. Albert P. Carmichael started his cartooning career with the New York World when he was not yet 17. Among his co-workers on the World art staff were Gus Mager, Jack Callahan and George McManus, whose style Carmichael greatly admired and endeavored to emulate. 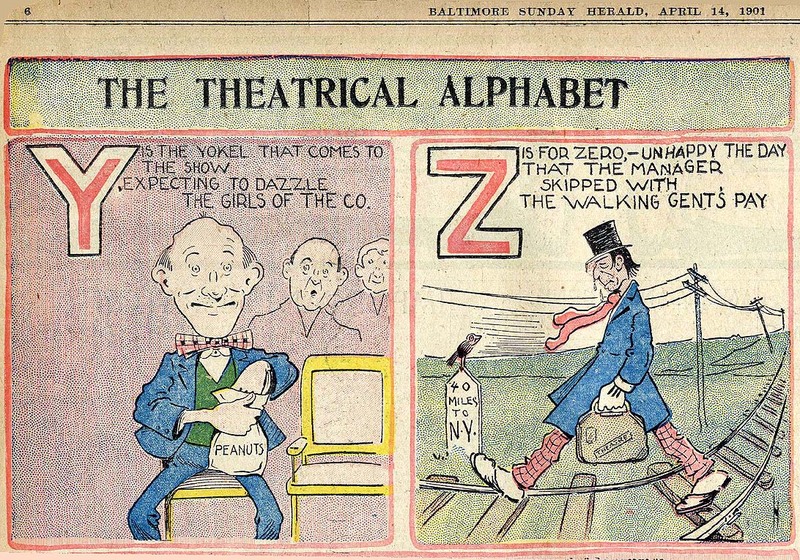 Carmichael contributed cartoons and spot illustrations to the columns of the World, as well as a number of panels and comic strips, including Jay Jones and His Camera (1908) and Why Be Discontented (1907), The Ambitions of Sonny and Sue (1908), Our Funny Language, Dr. Spook's Explorations (1909), Rosie, the Joy of New York Life (1911) and…Everybody's Doing It! (1912). Carmichael is best noted for his continuation of McManus's The Newlyweds and Spareribs and Gravy which he took over in 1912. Carmichael died on February 3, 1917, from complications of an appendicitis operation, at the age of 26. (At Ancestry.com there is a family tree for Carmichael; the tree has the same death date, plus the location as Los Angeles, California. 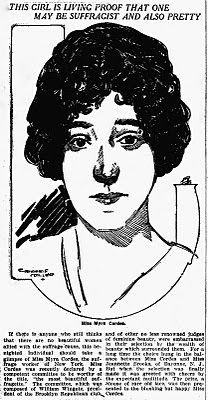 He married Myra Cordes around 1916; the Washington Post said, "Mrs. Carmichael was an artist for the World, an actress in silent films and an active suffragette in the days before World War I." In the book Silent Film Necrology (2001), her entry is, "Carmichael, Myra [actress] (b. 22 Jan 1890-22 Oct 1974 , Port Washington NY). AS, p. 205 (d. 25 Oct, LA CA). BHD1, p. 605." Hello, Allan-------Would it correct to assume that Carmichael was actually McManus' assistant? Also, Carmichael took over THE NEWLYWEDS and SPARERIBS AND GRAVY on Sept. 1, 1912, not 1914. Sorry, didn't proof well enough, error fixed. Now about that Sept. 1 date specifically though ... I have McManus last signing Newlyweds on 8/18. Was there no episode on 8/25, or did we have a mystery guest star that week? And on Spareribs, I have a gap from 8/18 to 9/8. Can you shed any light? Hello, Allan---The 8-25-12 Pulitzer section features the last SPARERIBS and NEWLYWEDS by McManus, and the last time these features appeared on the cover. (In this case a SPARERIBS episode.) Next week, 9-1-12, are the first Carmichael episodes, although unsigned for a while. And remember, never just use the WORLD ENCYCLOPEDIA OF COMICS for your facts. It's pretty shaky stuff. Albert Carmichael is one of the most intriguing and mysterious cartoonists to me. In fact one of my first posts to this blog back in 2005 was a little appreciation of Carmichael. One of the reasons I started the blog was as bait for contacting people who had more intimate knowledge of cartoonists who intrigue me, Carmichael of course being one of those. I've been lucky enough to connect with relatives of Roy Taylor, Ethel Hays and others through the blog, learning some fascinating stuff here and there. Carmichael, though, has been a blank all these years. That is, until this past summer when I was contacted by his great grand-daughter. So far I've learned a few interesting tidbits (for instance -- he died of complications after an appendectomy), with promises of more reminiscences to come. Unfortunately we both had busy schedules at the time, and I haven't heard from her in a long while. I know that life has an unfortunate habit of not slowing down so that we can catch up, but I do hope that I'll hear from her again. Today's obscurity, a weekday strip called The Ambitions of Sonny and Sue, was penned by Albert Carmichael for the New York Evening World from September 19 to December 26 1908. It didn't run all that often, and the plot about the romance between a secretary and a clerk in an office is less than enthralling. But this is early Carmichael, just seventeen years old, and he'll improve. A representative of Printers' Ink recently had an interview with Mr. Daniel McCarthy, the director of the National School of Caricature, which has a suite of offices in the Pulitzer Building, Park Row, New York City. Mr. McCarthy told an interesting story about the way in which he had built up a business by means of advertising in the short space of one year. "I commenced by advertising among the 'Help Wanted" columns in the Herald and other papers," said Mr. McCarthy, "using only five or six lines. I advertised to teach drawing by mail, and I soon began to get quite a number of replies, a fair percentage of which later turned out to be regular pupils. My plan was to send out a prospectus with all particulars of the tuition and and costs to every person who answered the ad. I guarantee instruction by mail, in newspaper caricature work, which is the principal and, I may say, the unique feature of this school. I am not aware that there is such another school in existence. "I will tell you about my advertising first, then about my methods of instruction. Finding that the business grew, my partner, Mr. Burger [this would be Mort M. Burger -- ed. ], and myself decided to extend the advertising still further. We took the same small space in the leading dailies of the country, and even in the British metropolis we use the four principal newspapers. We get on an average from 80 to 100 letters of inquiry daily, and we have over 400 regular pupils whom we teach by mail. The course consists of 35 lessons, and for this instruction we charge $25 if paid in advance, $30 if paid in installments. Our pupils are in the United States. Canada, Great Britain and even France and Germany. We arrange the course of 35 weeks so that the 17 weeks of summer shall be for vacations, as most people go away during some part of the heated term. "By reason of our original method of instruction, we positively guarantee that any young man or woman with a natural talent for drawing, can, by following all the instructions carefully, conscientiously and accurately,become a competent illustrator and prepare for earning a good income. We write letters of criticism and advice to our pupils, and then, if after conscientious trying, they fail to benefit by our teaching, the amount paid for tuition is cheerfully refunded. "The course of 35 lessons includes caricaturing, cartooning, sketching from life , the study of original action, decorative designing, lettering, process paper drawing and landscape sketching, newspaper and commercial designing and all branches of illustrating, including wash and crayon drawing. The first lessons are naturally rudimentary—the making of lines, for that is the first step towards learning how to draw correctly. Each lesson, after being done by the pupil, is mailed to us for criticism, and I personally examine it, marking in red ink my comments, adverse or otherwise, so that the pupil may see exactly where he or she is right or where wrong. "We have only been in business one year, yet there are very many of our pupils who are now drawing for the newspapers and magazines and are on the way to making good incomes. I place a profession in their fingers and they learn it at very little cost. We have men and women of mature years and also boys and girls as pupils. "Lately we have started a school in our class rooms where pupils may study in person by day or evening and our school is rapidly growing. 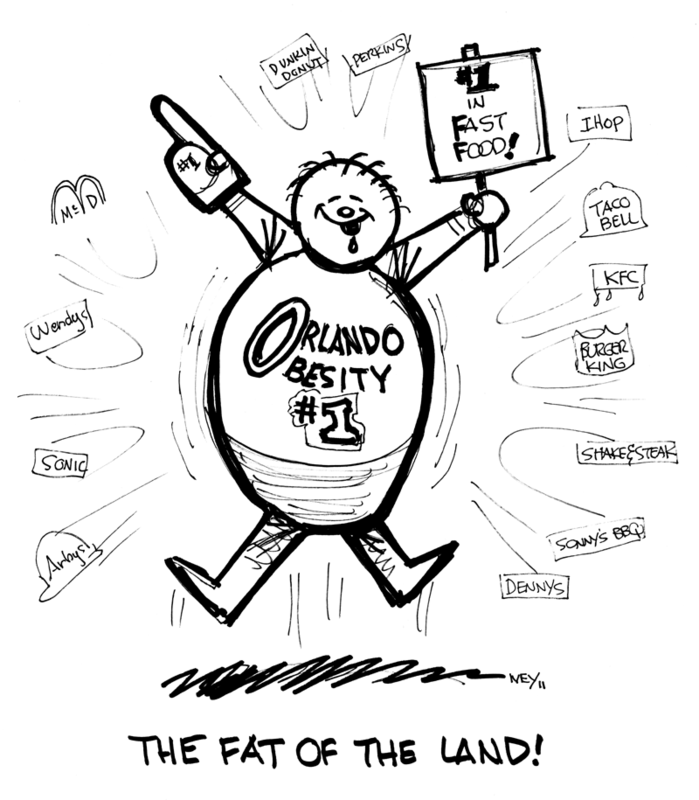 Here we teach caricaturing from the model—from life itself. We have an average class of twenty-four of both sexes, and while they are at work Mr. Burger and myself walk around and see how the students are progressing, giving advice here, criticising there, and so on. It is our intention to form another class shortly, one that shall be devoted more to mechanical draughtsmanship, water color work, advertisement designing and show card writing and illustrating. HAVE YOU TALENTS FOR DRAWING! mail also. Day and night classes from model. The only school of its kind in the world. Studios, 87 World Building, New York City. Daniel M'Carthy Was Well-known Newspaper Artist.